ST. LOUIS, Nov. 21, 2016 /PRNewswire/ -- In celebration of the National Dog Show Presented by Purina and the Thanksgiving holiday, Purina invites dog lovers across the world to share why they are thankful for their four-legged friends and how they show their thankfulness through its #DogThanking initiative. Dog owners are encouraged to log onto Facebook, Twitter or Instagram to post photos or videos showing how they thank their beloved dogs by using the hashtag #DogThanking. For every original post submitted through November 27 using the hashtag and tagging @Purina, Purina will donate one dollar to the Canine Health Foundation—up to $50,000—to help further pet health research. Submitted videos, photos and posts may be featured during the National Dog Show Presented by Purina on Thanksgiving Day. 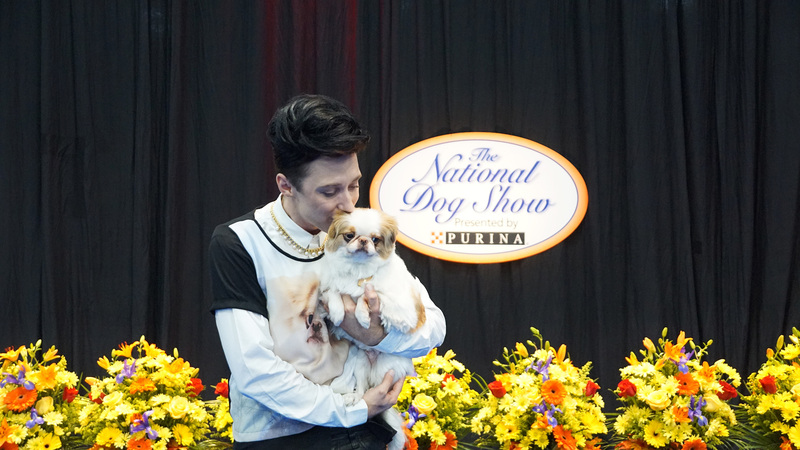 "Pets bring so much joy to our lives, it's important we show our appreciation," said three-time U.S. national champion and Olympic figure skater Johnny Weir, who will serve as a correspondent for this year's National Dog Show Presented by Purina. Weir kicked off the #DogThanking initiative for the second year in a row with his pet Japanese Chin, Tema. "Tema provides so much happiness and comfort for me, and I love showing him how thankful I am to have him in my life," Weir said. "Purina's #DogThanking initiative is really about dog owners celebrating their pets and how their lives are better together. I encourage pet owners to share their posts so we can raise funds to support pet health research." 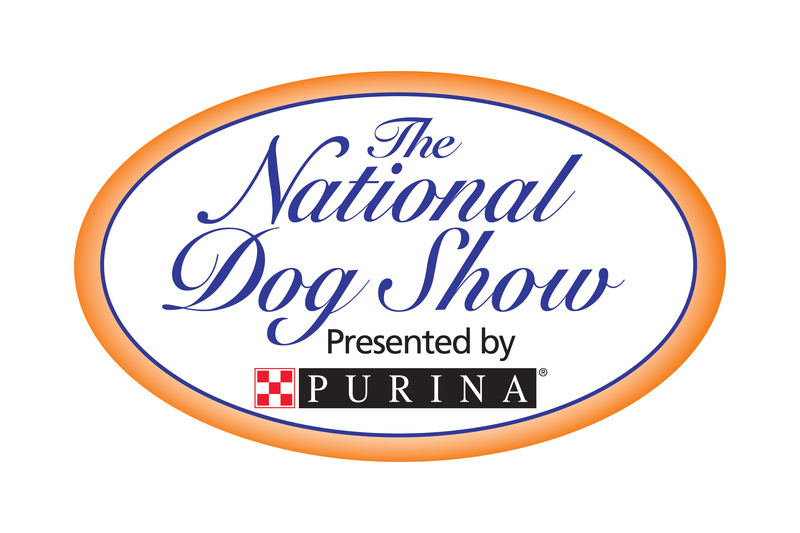 The National Dog Show Presented by Purina will premiere on Thanksgiving Day on NBC at noon in all time zones. For the 15th year, the show will bring canine competition and entertainment to America's viewers and crown one of America's great dogs as its 2016 champion. More than 1,700 dogs representing more than 175 breeds will vie for Best in Show honors. The show is watched by more than 20 million viewers annually. Beloved TV personality John O'Hurley, best known as "J. Peterman" on Seinfeld, will serve as show co-host, along with veteran dog show analyst David Frei. Mary Carillo will join Weir and former U.S. Olympian ice skater Tara Lipinski as National Dog Show correspondents. For more information about the #DogThanking initiative, check out Purina on Facebook (www.facebook.com/Purina ), Twitter (www.twitter.com/Purina) and Instagram (www.instagram.com/purina). 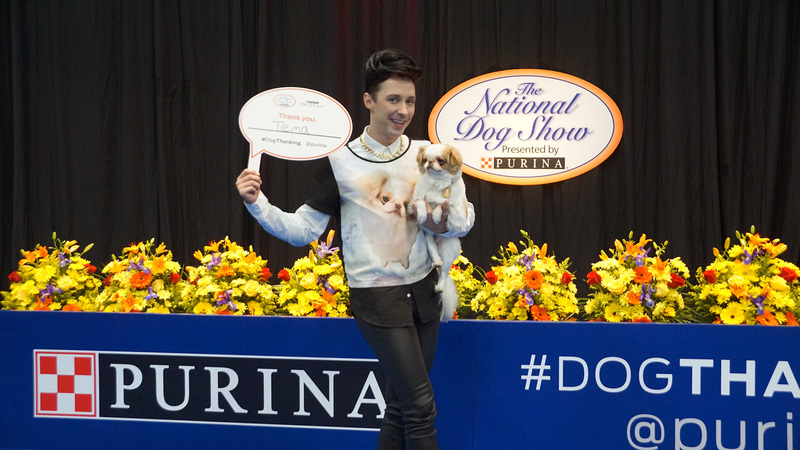 At the age of 31, Johnny Weir—a three-time US champion, two-time Olympian, and World medalist—is a pop-culture icon and is back at the National Dog Show Presented by Purina for the second year in a row. Fans all over the globe love his elegant yet edgy style both on and off the ice, and the delicious unpredictability of what he'll say - or wear, or do - next. In February 2014, Johnny was brought in to do commentary during the Winter Olympics in Sochi for NBC Sports. While figure skating was his primary element at the Olympics, Johnny was tapped by Access Hollywood and TODAY to provide fashion commentary for the 2014 Oscars. He provided similar observations in 2014, 2015 and 2016 at the Kentucky Derby and at the 2015 Super Bowl. Johnny was featured as a host and interviewer in the Epix Documentary, To Russia With Love and has become NBC's lead commentator for figure skating competitions. Brilliantly talented, unabashedly outspoken, always entertaining, and embraced by a following that spans the globe, Johnny continues to win the hearts of new fans with every new big screen appearance.